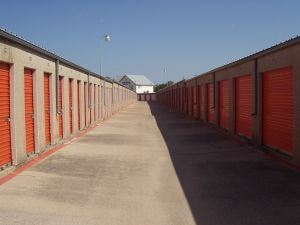 Many storage facilities provide great deals as an introductory offer. That’s great to get you in the door but you have to find out specifically when that deal is going to change. You don’t want to find yourself suddenly paying double the rent you signed up for. You also want to make sure you can cancel your contract at any time without incurring any charges. Be on the lookout for hidden fees as well. Paying tax is one thing but you shouldn’t have to pay for extra security. There are some businesses that rent storage units for their inventory but they should never be storing perishables in those units. You should keep out any food items that might attract unwanted guests. A storage unit also isn’t a place for things that can spoil like wine. It’s a good idea to lift your property off the floor with pallets. This is especially important if you’re renting a unit that is on the ground level. Just as rainwater can seep into your garage, it can also seep into a storage unit. Your things will be protected if they are above ground. If you’re putting a lawnmower in storage, then you want to make sure the gas tank is drained. Things like propane tanks, paint and other solvents also should be kept out of storage units. An old refrigerator should have the Freon drained as well. The goal is to get a good deal on your storage unit but that doesn’t mean it should be taken up with rubbish. As you sort through all the things you want to pack up you will probably discover that a lot of it could be tossed out. If you can’t fit into the trash, then you want to hire Junk King Chattanooga. These are the junk removal professionals that have a lot of experience moving all kinds of rubbish piles. The two-man crew sent over by Junk King will quickly load up all the stuff you want to get rid of and dispose of it in a responsible manner. Keep your storage unit clear of clutter with one call to Junk King Chattanooga. This entry was posted in Chattanooga Junk Removal and tagged clutter, Junk King Chattanooga, rubbish, storage unit on July 31, 2017 by Junk King. Last updated July 31, 2017 .